You would think taking images in your football uniform would be as simple as showing up, putting on your gear and snapping the image. Well it should be, but sometimes it does not go as smoothly as it should. Here are four tips for football players to make sure your shoot is easy cheesy and most of all BADASS!!! Clean Uniform - This might sound like a no brainer, but you would be surprised at how many kids forget to wash their uniforms before their shoot. Nothing is worse than shooting in a smelly jersey or grass stained covered pants. This counts double if you are bringing a light colored uniform. Don’t forget your leg pads - With all the rush of getting ready for their shoot kids will leave one of the most important pieces of their uniform home, their leg pads. The reason the leg pads are so important is they give the kids the mass in the legs they need to look tough. Having huge shoulders and a tight top and then baggy bird legs because you have no legs pads is not the best look. So, don’t forget your girdle and kneepads. Visors - I think visors look great! They add a another layer of protection to your helmet, BUT when it comes to taking pictures visors are just a huge pain. In high school you don’t get to use the cool dark visors, you have to use the non-tinted ones. Without fail they are always scratched up and not very clear. The big problem is they reflect the light back when you shoot them with studio lights and you can't see your face at all. So, make sure you have your visor taken off before the shoot. Cleats - Nothing says badass like you in your uniform, standing tall looking like a badass and at the bottom of your legs are your flip-flops, basketball shoes or worse. Make sure you remember your cleats! They are important for the images. Hopefully these help and will be great reminders for you when you are ready for your MOZ EXPERIENCE!!! Photographer Craig La Mere of Moz Studios specializes in Seniors, Family, Weddings, Glamour, Boudoir & Commercial Photography sessions. With a studio location in Chubbuck, ID, Craig serves the Pocatello, Blackfoot, Idaho Falls, area. Craig has been a professional photographer for 10 years. 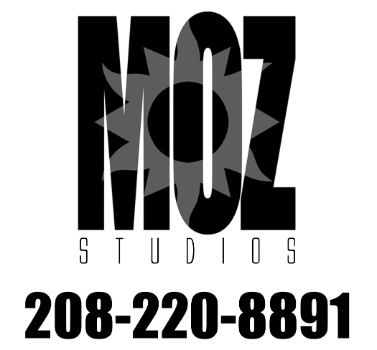 Our goal at Moz Studios is very simple: Show our clients a good time and create images that are BADASS!